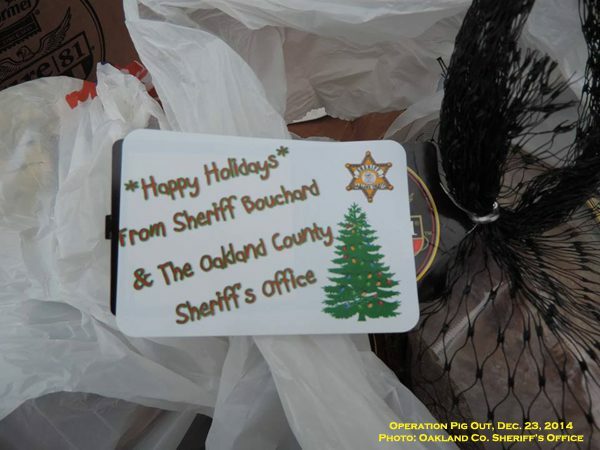 With big hearts and a strong sense of humor, deputies from the Oakland County Sheriff’s Department hit the streets of communities they serve with surprise hams for residents. “Operation Pig Out” was made possible by Dr. Frank Patino who purchased the 300 hams. 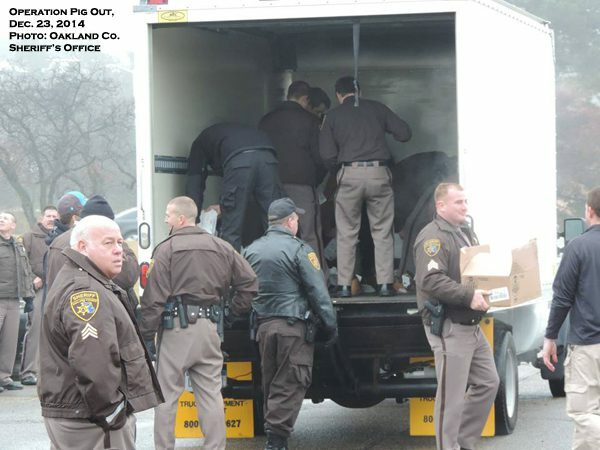 Sheriff Mike Bouchard was happy to get his team on board. 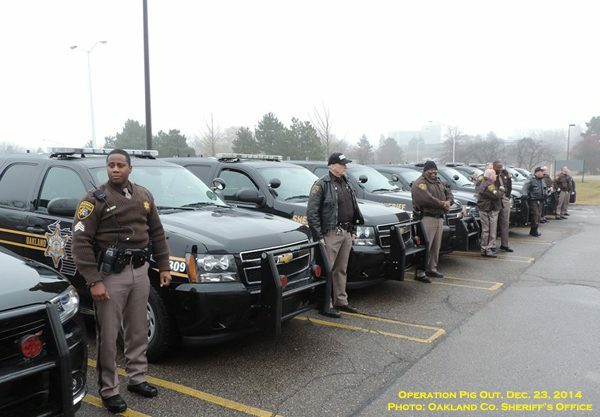 Uniformed deputies from Addison Township including the Village of Leonard, Brandon Township including the Village of Ortonville, Commerce Township, Highland Township, Independence Township including the City of the Village of Clarkston, Lyon Township, Orion Township, Oxford Township, Oakland Township, the City of Pontiac, the City of Rochester Hills, and Springfield Township approached residents in their neighborhoods an surprised them with the delicious gift.